ProbeMaster ($9,995) is your complete solution to bare board electrical testing. ProbeMaster allows you to control the entire electrical testing process from beginning to end. CAMMaster ($5,995) the premier product for the most demanding jobs. Scripting features to automate your routine jobs, improve accuracy and yields to get the work done faster. 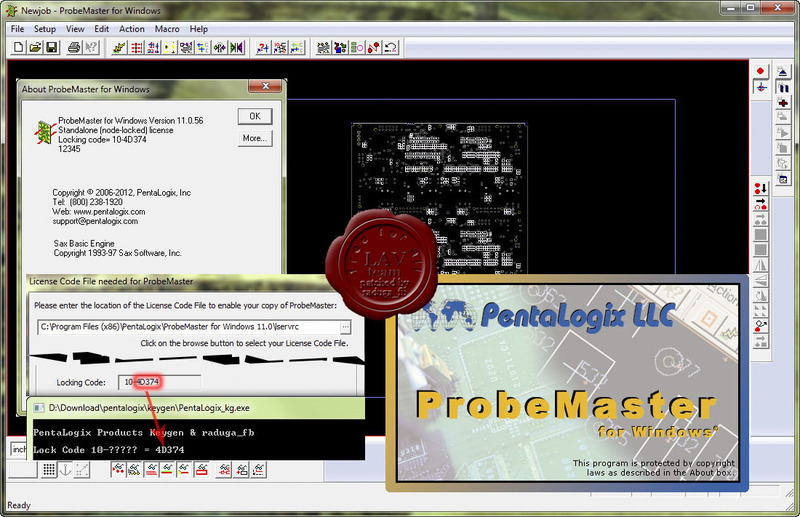 FixMaster (already not selling) is a graphical editor for building test fixtures and generating tester download files. The following is an overview of FixMaster features and capabilities. RoutMaster (already not selling) is an accurate, high-speed graphical editor for Computer Numerical Control (CNC) data used by routing and drilling machines. When you have successfully installed RoutMaster and set up the license file, you can: handle CNC Files, view/edit CNC Data, control CNC Patterns. ViewMate Pro ($495) is designed for today’s power user. Now equipped with a DXF File Converter to give users the ability to convert Gerber to DXF and DXF to Gerber, ViewMate Pro has more value than ever before!